Pets are pretty big mess makers. 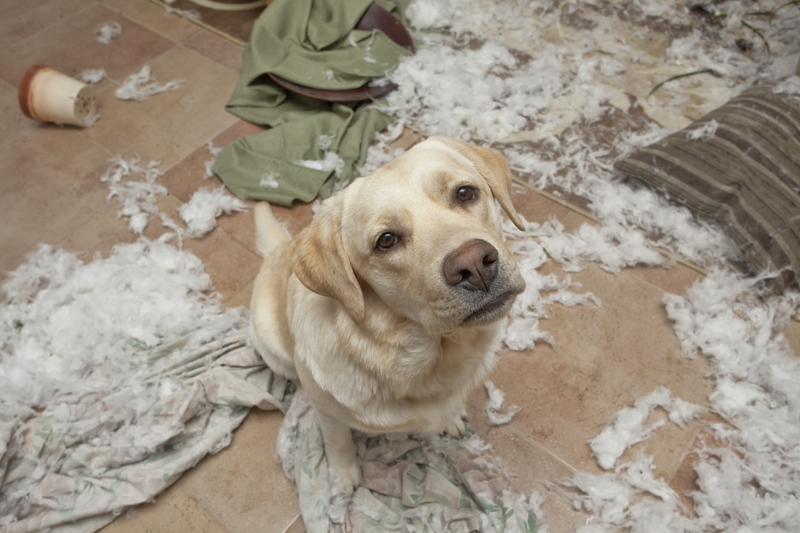 We love our pets, but the messes they often bring with them is nothing short of a nightmare. That’s why we’re going to share some awesome tips with you on how to keep your apartment looking its best when you have pets. Are you ready to learn more about it? Well, here we go! A well trained dog is much less likely to tear the house apart, plain and simple. So, you should take the time to work with your dog and train them properly. This could include extensive work at home or you could seek the help of an obedience class. One thing to keep in mind is that the dog’s breed changes the kinds of trouble they’re more likely to get into. Beagles, for example, are notorious trash diggers and food finders. Huskies are known for their destructive tendencies. The list goes on. So, learn what sort of trouble your dog likes to get into and plan accordingly. If you can, consider crating your dog while you’re not at home. Some dogs will not tolerate this, but it can be very helpful for some. Ah, pet hair. It gets in your socks and in your mouth. It’s probably all over your clothes and all over your apartment. So, what can you do to get a handle on this issue before it spirals out of control? Well, there are a few ways. The first is having your dog groomed regularly either by a professional or at home. Even a quick brushing every day can help a lot. Another way to keep pet hair to a minimum is to sweep, vacuum, and clean your floors every other day. It might seem like a lot, but you don’t want to let all that fur get out of control. This entry was posted on Sunday, June 7th, 2015	at 7:25 pm	. Both comments and pings are currently closed.